Two souls on fire face down the heart of an unfathomable path. Ted Sprague never realized how much his life would change when his abilities activated. He didn't even know he generated nuclear energy—until it was too late. His wife died slowly of radiation poisoning and he could do nothing. Now, Ted is a man consumed with a need for answers—and the power to get them. Ted Sprague is in the custody of the FBI, a suspected terrorist. He reflects back on his marriage to his wife two years earlier, and her eventual decline and death from radiation poisoning. His anger builds, and he explodes, destroying the FBI van, and escapes. A week later, he buys a gun and eventually settles into a hideout in the Nevada desert. Hana Gitelman sends him instant messages and arrives at his cabin, seeking revenge against the man in horn-rimmed glasses. She shows Ted her incisions and specifications for the needle that was used, and tells him he can track the medical equipment down and locate his abductor. 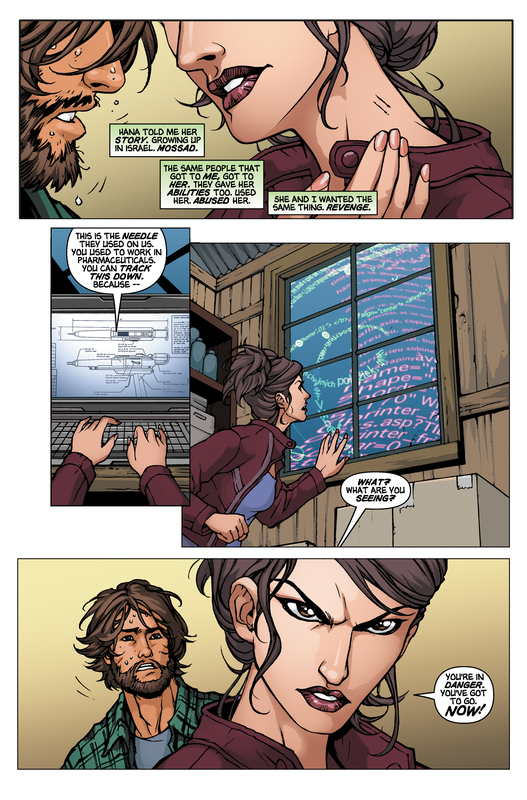 Suddenly, Hana perceives communications showing that Ted is in danger. 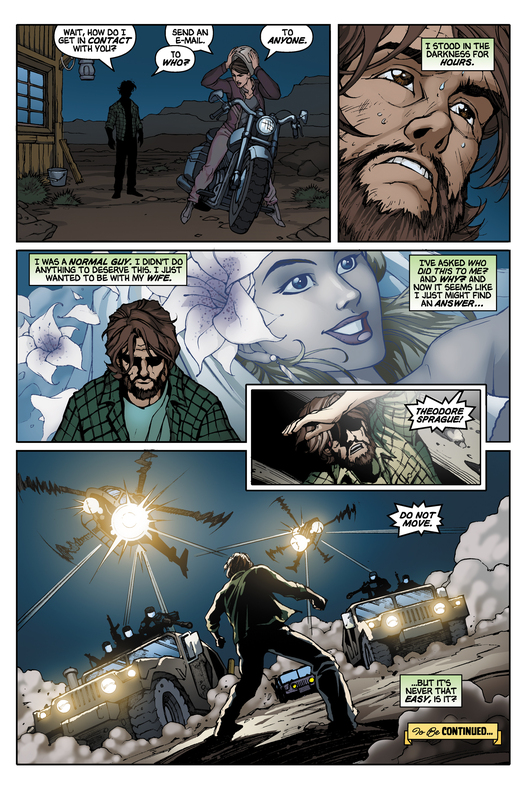 She leaves, and Ted is confronted by a large military force. When Ted and Hana meet, it is very similar to a live action preview shown on NBC a half hour before Godsend first aired. 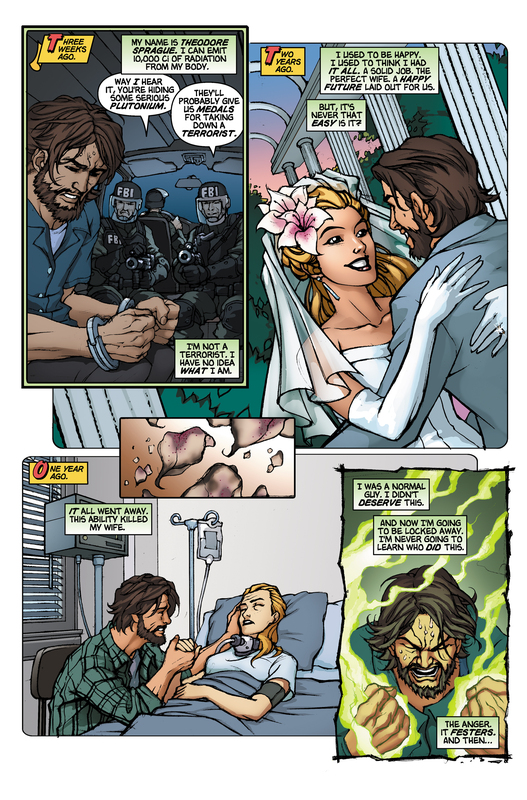 This graphic novel features scenes from Seven Minutes to Midnight (when Ted escapes the FBI vehicle), Nothing to Hide (when Ted watches his wife die), and Unexpected (when Hana visits Ted). It should be noted that Unexpected hadn't yet aired when How Do You Stop an Exploding Man?, Part 1 was released. When Ted purchases a gun, the gun seller bears an uncanny resemblance to Walter Sobchak (John Goodman) from The Big Lebowski. In an email, Travis Kotzebue said, "It was an intentional (though unofficial) cameo. The script called for Ted Sprague to buy supplies at an army surplus store, and instead of just drawing some random guy, I thought it'd be fun to draw Walter (or an unofficial Walter doppelgänger). I'm a big Big Lebowski fan, obviously." 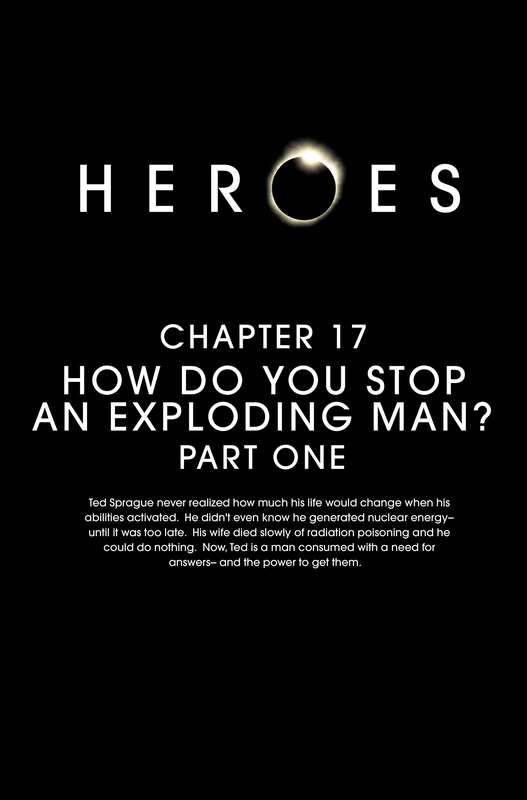 How Do You Stop an Exploding Man?, Part 1 is the first graphic novel to feature examples of more than one power: induced radioactivity and digital communication. 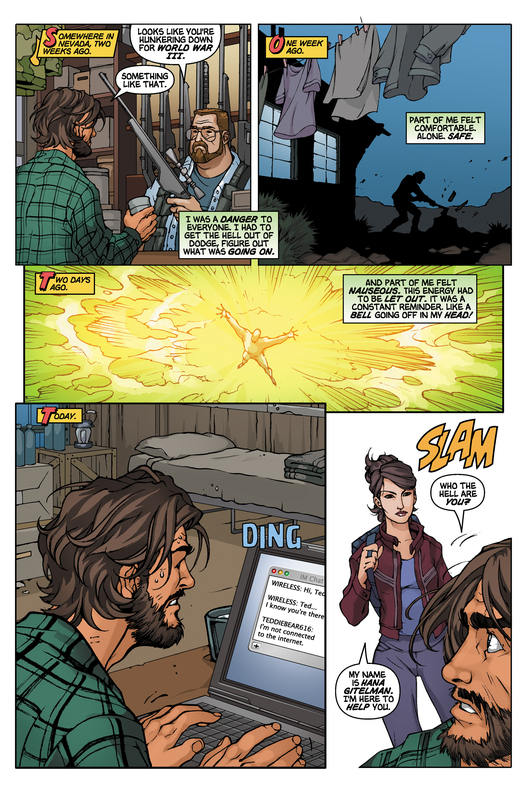 Ted is using a Macbook running Mac OS X when he receives the message from Hana. 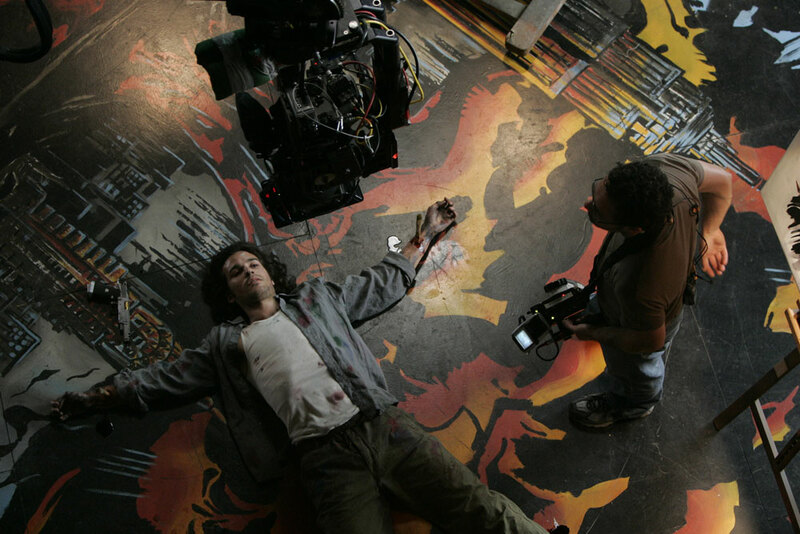 The Easter Egg image is a behind-the-scenes shot of Santiago Cabrera from .07% just before Isaac is killed by Sylar. This image appeared online some time before .07% appeared on television. For images from How Do You Stop an Exploding Man?, Part 1, see images from How Do You Stop an Exploding Man?, Part 1. 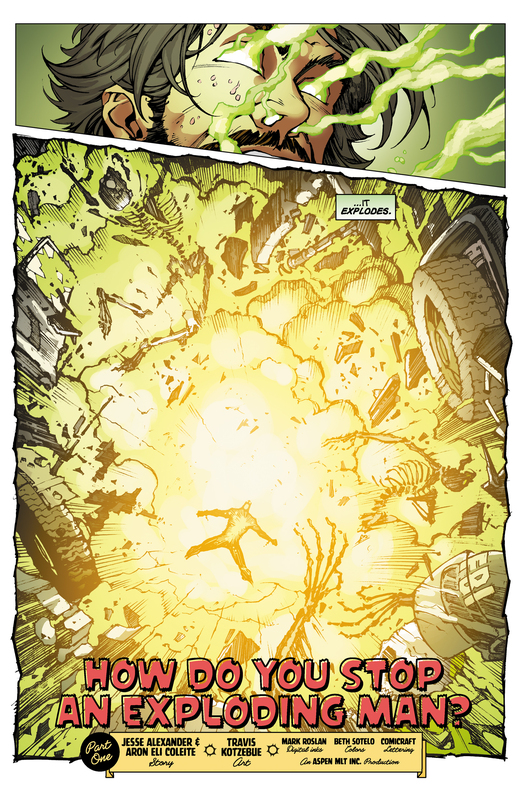 For Travis Kotzebue's original art from How Do You Stop an Exploding Man?, Part 1, see here. For an interview in which Travis Kotzebue discusses How Do You Stop an Exploding Man?, see here. This page was last modified on 22 October 2015, at 18:20.